The technology used to create the Braking Bar is also used by luxury car manufactures like Mercedes, Cadillac, Volvo, and BMW use in their new automobiles to help keep their automobile occupants safe. The Braking Bar creators are a group of engineers and everyday drivers that are fascinated and love the safety opportunities that new technology brings to the table. From autonomous vehicles to making critical safety features accessible to the masses, they are continuously working on new exciting projects. The Braking Bar is this groups first product and they are debuting it on Kickstarter. I recently had the pleasure of interviewing one of the members of this group, Roland Hence, and asked him a few questions. I thought his answers were super interesting and insightful. Q. What role has technology played in the increase of distracted driving? One of the most interesting facets of distracted driving is how technology is both an instigating factor and a solution. A text from a friend can catch a driver’s eye, but an auto-braking system can save people from getting hurt because of it. As distracting technologies become more enticing in the future, we, as safety manufacturers, must do our part to ensure that preventative safety becomes even more effective. Q. 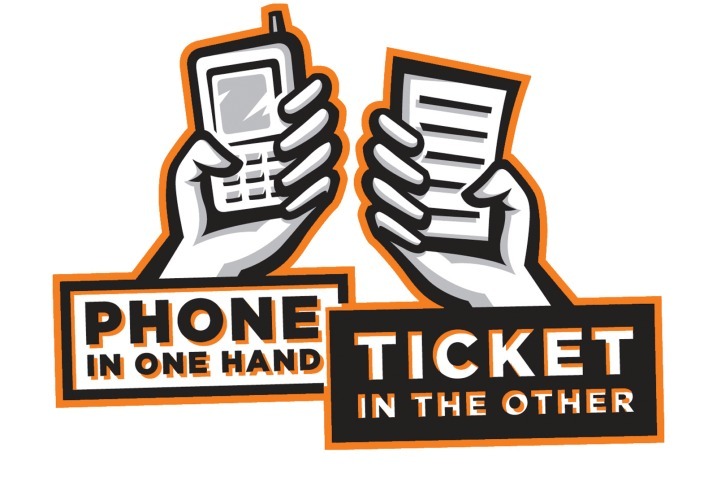 Do you believe we will ever end 100% of distracted driving across the U.S.? For as long as people are driving, there will be distracted drivers. People are prone to distractions and our phones and car features like radios and GPS navigators have made those distractions all the more alluring. However, as technology advances and we move towards self-driving cars, we can greatly reduce the opportunity to drive distracted. Q. What impact does government regulation have on distracted driving? While technology can help keep our own cars on track when our focus drifts, government regulation can help keep other drivers’ cars on track. Regulatory solutions can encourage drivers to minimize exposure to distraction, thereby helping keep their focus on the road. However, government regulation can also stand as an impediment to innovation. Regulators have had to act quickly as self-driving cars, which were previously illegal, are getting closer and closer to public use. This has created many challenges, and requires manufacturers and governments to work together swiftly and effectively. Q. What is an Adaptive Brake Light, and how does it combat distracted driving? Rear-end collisions are the most common type of car accident, and most of them are caused by distracted drivers. To combat this problem, manufacturers created the Adaptive Brake Light. Under forceful braking, Adaptive Brake Lights flash or get very bright, activating the survival instincts of following drivers and making them react faster. It’s a very effective solution, but has only been available on a few new cars. Q. What is Braking Bar’s impact on distracted driving? Braking Bar is an Adaptive Brake Light that any driver can stick to their back window. It’s the same type of technology that’s in new cars, but since the average car is 11 years old, drivers want a more practical way to obtain new technology than to buy a new car every year. Thus, Braking Bar is designed to make safety convenient and therefore has the potential to help many drivers and passengers. Q. How can we protect ourselves from distracted drivers? The technologies that prevent us from being distracted on the road have a shortcoming—they are for stopping us from causing accidents, not for stopping others from causing them. So even though the latest auto-braking features and distracted driving counter measures can help prevent us from losing focus, we are still at risk. This helps explain Braking Bar’s appeal—it’s a product that protects you and your passengers from other drivers. Thus, a combination of technologies, ones that prevent the owner from losing focus and ones that quickly gain the focus of other drivers, yields the most holistic solution to the pervasive problem of distracted driving. There is far too much emphasis on ”safety” and too little on operating economy and repair ability .